Want to integrate your company’s Twitter, Facebook and LinkedIn feeds into your Microsoft CRM system so you can view one consolidated feed, react to social conversations by creating CRM Leads, Contacts and Cases, and post your own social messaging to all 3 channels in 1 hit? If that’s you, then Webfortis have an Add-on for Microsoft CRM that you should take a look at. 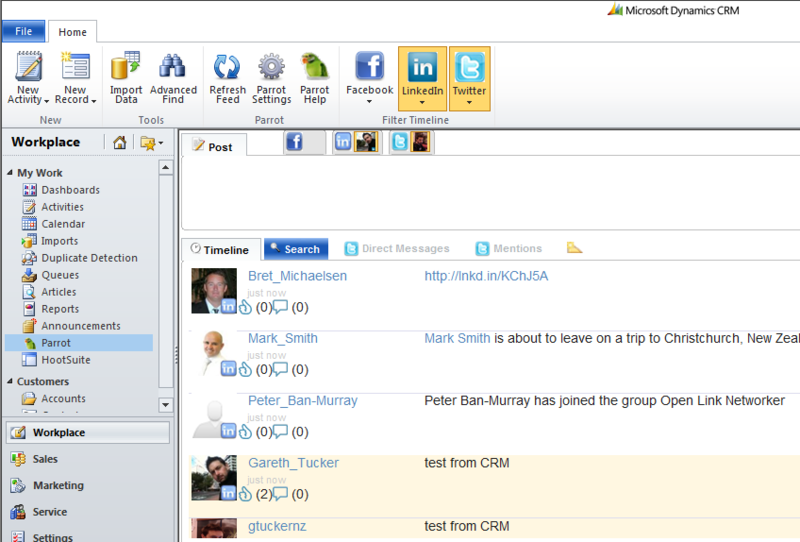 Parrot users are licensed separately from CRM,. 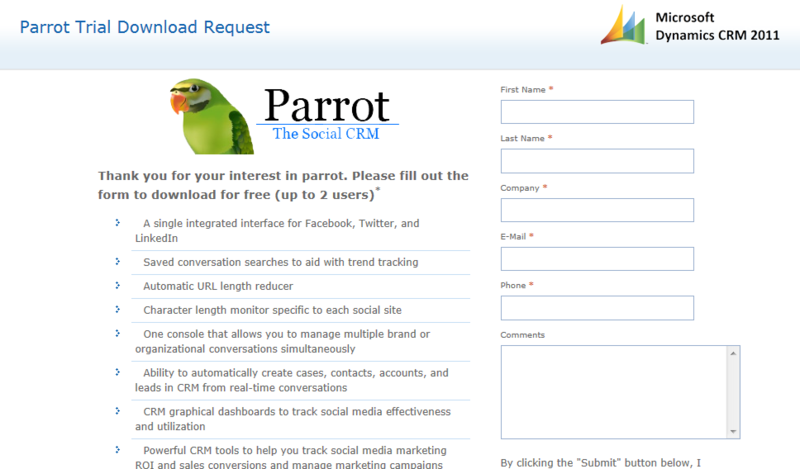 You can have 100 CRM users but only 2 of them activated for access to Parrot. The 2 user limit won’t be a problem. 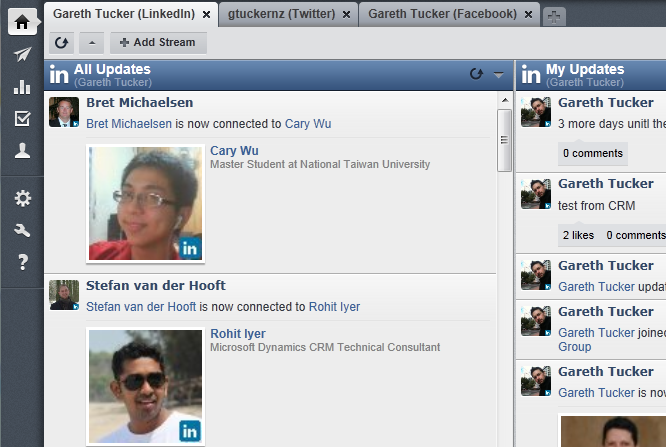 So Feature #1 is this consolidated view of your social networks inside your CRM system. 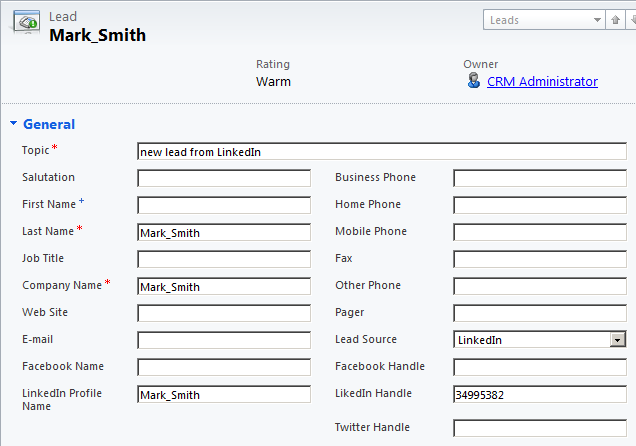 That’s right, with a click of a button you can create a new Lead, Case, Contact or Account in CRM based on a social media post. That’s Feature #4 and I think its kind of interesting. That’s enough from me for today. Hopefully this has provided you with a useful overview of the Webfortis offering. I recommend having a look at Parrot. Best case scenario: it will meet your requirements. Worst case scenario: it will provide a useful perspective on what is possible and help you refine your social network integration requirements. 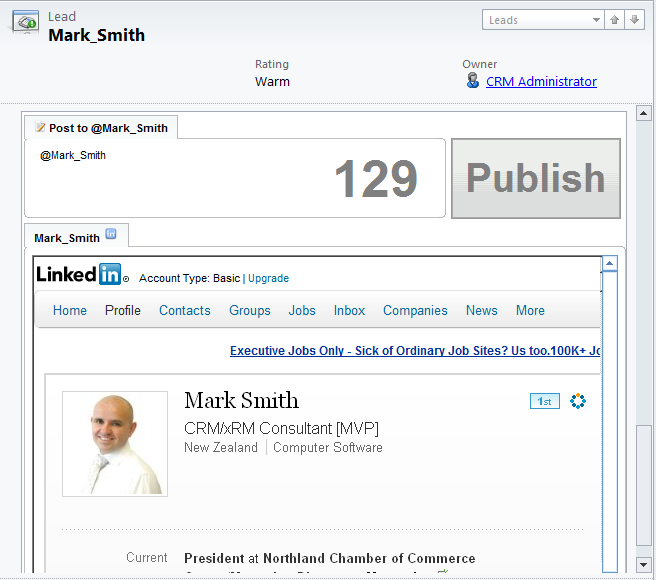 This entry was posted in Uncategorized and tagged CRM 2011, Social on April 27, 2012 by Gareth Tucker. Hi, Do you know the price of Parrot por more than 2 users? I can not to find the information… Thanks!! 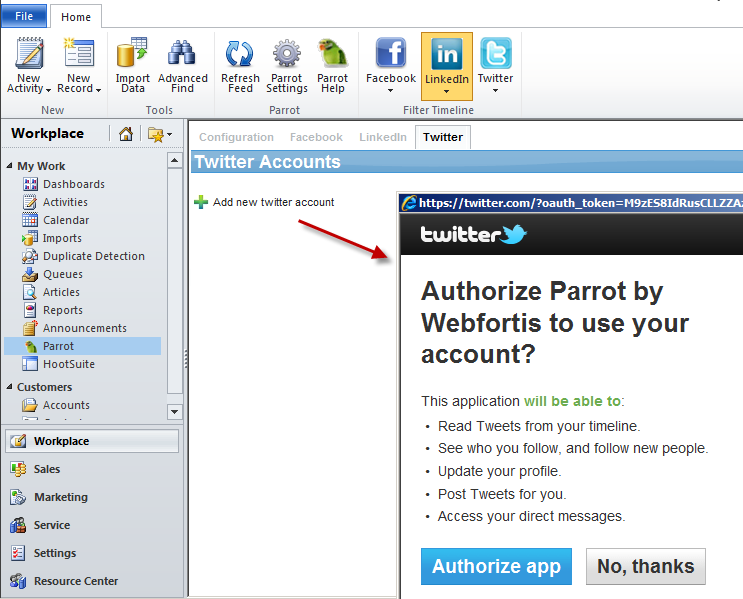 I Need to connect to twitter, but I am not able to Authenticate to Twitter via parrot, Before asking credentials itsslef, it says twitter server is busy and cant be associated. The Parrot solution is working IFD environment or not? 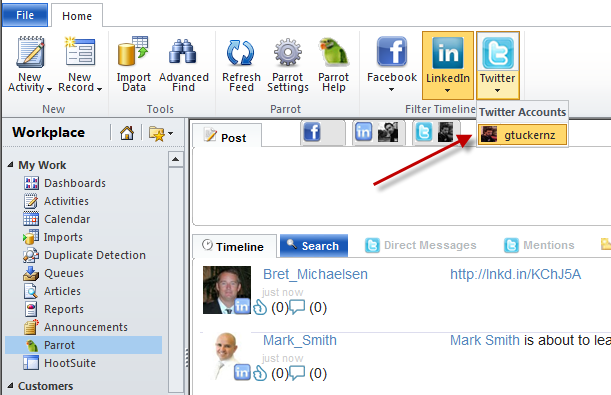 Do you know if Parrot works on CRM Dynamics 2013 on-line?